Posted July 19th, 2012 by Yvonne Hawkey & filed under CD Players, Moon. When is a CD player not a CD player ? When itâ€™s a MOON Evolution 650D ! 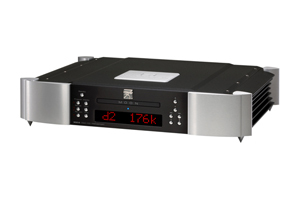 Sim Audio refers to this machine (and its big brother, the 750) as DAC/Transports and intend then to be used that way to. World class musical performance and long-term flexibility actually make this beautifully made product a bit of a bargain. Makes for an amazing (and compact) system with a 600i amplifier, just add (very good) speakers.